Ladet ein einminütiges Video eures Proberaums auf Instagram hoch und überzeugt uns auf kreative Weise, welche der folgenden Preise euren Proberaum verbessern würden: ein Marshall-Kühlschrank, Akustikplatten von EQ Acoustics oder ein Paar PA-Lautsprecher von the box. Wenn wir wirklich überzeugt sind, könnt ihr euren Wunschpreis gewinnen! Stellt sicher, dass ihr den Hashtag #PimpMyPracticeRoom in eurem Instagram-Beitrag verwendet. 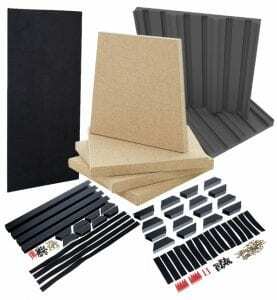 Das EQ Acoustics Bundle enthält zwei L10C Bass Trap, zwei Q5 Tiles (8 insgesamt), zweimal QR Diffuser, ein Corner Bracket Wall set und zwei Flexi Blocks sets! Einsendungen dürfen nicht länger als eine Minute dauern. Euer Video muss euren Proberaum deutlich zeigen. Mindestens ein Bandmitglied sollte im Video zu sehen sein: Derjenige erklärt, welcher Preis dringend im Proberaum zur Verbesserung benötigt wird und warum. Je kreativer und origineller das Video ist, desto besser ist eure Gewinnchance. 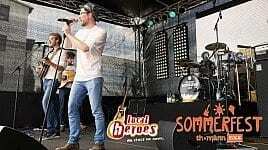 Außerdem gilt: ein Eintrag pro Person / Band / Proberaum. Postet das Video auf Instagram und stellt sicher, dass der Hashtag #PimpMyPracticeRoom in eurem Beitrag verwendet wird. Andernfalls werden wir ihn wohl nicht finden! Der Contest läuft vom 5. November 2018 (19:00 Uhr) bis zum 11. November 2018 (bis kurz vor Mitternacht). Die drei Gewinner werden in der Woche vom 12. November 2018 bekannt gegeben. Checkt mal die Seiten unserer Partner, die uns beim Gewinnspiel unterstützen. 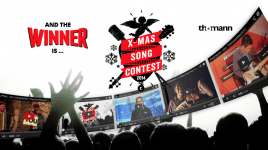 Note: Participation in an online contest and the chance to win is detached and independent of an order at Thomann GmbH! This raffle is not affiliated with Instagram or Facebook and is not sponsored or organised by them in any way. (1) Only persons of full age are entitled to participate. Anyone who wishes to enter the competition will only take part in the competition within the respective competition period and will therefore only be entitled to the prize if the entry has been submitted within this period. (2) In order to take part in this competition, a video with the above content must be recorded. The article will be published on one of the own social channels and provided with the hashtags mentioned above. By posting the competition entry, the participant agrees to these conditions of participation. Only one competition entry may be submitted per participant. The participant is responsible for being contacted by Thomann, for example by activating the message function of his/her profile / account. Among all correctly posted entries a Thomann-Jury will award the most outstanding ones. 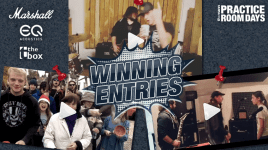 Which videos the jury awards as “most outstanding” is up to the jury. It decides subjectively as well as in terms of content, presentation and so on. 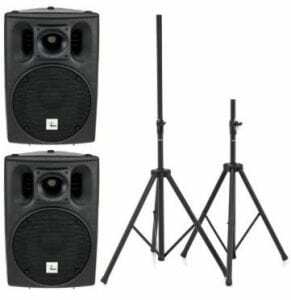 The prize is a Thomann package (of gear, accessories and decorations from Thomann and the sponsoring brands, up to a total amount of 4oo euros. It is planned that only one contribution per band can win, even if different band members tell the same story. (3) The videos will be announced during the week of November 12th, 2018. 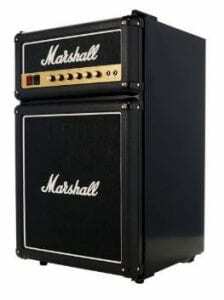 The duration of the competition is at Thomann’s discretion. The expected term ends on 11 November 2018 at 23:59:59. (1) Employees of Thomann GmbH, affiliated cooperating partner as well as their relatives (e.g. parents, siblings or spouses) are excluded from participation. (2) In case of violation of these terms and conditions, especially by the usage of prohibited technologies or other manipulation, the organiser preserves the right to exclude persons from the contest. Under these or other violations prizes can be retroactively revoked and reclaimed. (1) The winners of the packages will be contacted by the organiser via the medium with which he/she published his/her entry, Instagram, YouTube, t.blog or Facebook. You will be notified and can be published on the Thomann International Facebook page (www.facebook.com/thomanninternational) and on the t.blog (https://www.thomann.de/blog/en/), stating your first name, surname and place of residence. The winners expressly agree to this form of publication. The winners will confirm to the organiser that they accept the prize and provide the information necessary for the transfer of the prize. The claim to the prize lapses if the award or transmission of the prize cannot take place. This applies in particular if a winner does not confirm acceptance of the prize in due time. In this case the organiser reserves the right to determine a new winner by draw. (2) The prizes will be sent by the organiser or a third party commissioned by him to the postal address specified by the winner by forwarding, parcel service or post. Delivery is free of charge. Any additional transport costs and customs duties shall be borne by the winner. In the event that delivery is made through a carrier, the carrier will contact the winner to arrange a delivery date. (4) An exchange of the winnings, a cash payment, or a possible compensation is excluded. (5) The claim to the prize or compensation cannot be assigned to third parties. (1) The participant agrees, that the organiser will store all information required for the conduct of the contest for the duration of the contest. The organiser has partially authorised third parties (“cooperation partners”) to perform services necessary to execute and successfully conclude the contest. Provided information of the participants will be stored by those cooperation partners only for the duration of the contest. All provided data will be permanently erased after conducting and the finalisation of the contest. By participating in this contest, the participant agrees that provided data will be processed by third parties and in particular that the organiser will provide said data to third parties. The participants can revoke their agreement to the processing of their data at any time. Given that case, it might be necessary to exclude the participants from the contest. Furthermore, participants are entitled to all rights provided by the Bundesdatenschutzgesetz in terms of disclosure and correction in respect to their provided data. (2) The organiser is obligated to protect the participants privacy and guarantees to process the data according to the Bundesdatenschutzgesetz, the Telemediengesetz as well as the Europäischen Datenschutzrichtlinie (95/46/EG) and the EU Datenschutzrichtlinie für elektronische Kommunikation 02/58/EG. 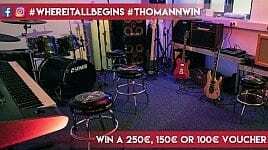 (1) Thomann GmbH will be freed of any and all obligations after delivery of the prize. (2) Thomann GmbH is not liable for bankruptcy of a cooperating partner or consequences following a bankruptcy or for these occurrences interfering with the conduct of the contest. (2) The law of the Federal Republic of Germany is the only law that is applicable with the exception of any regulations of international private law that must be followed. 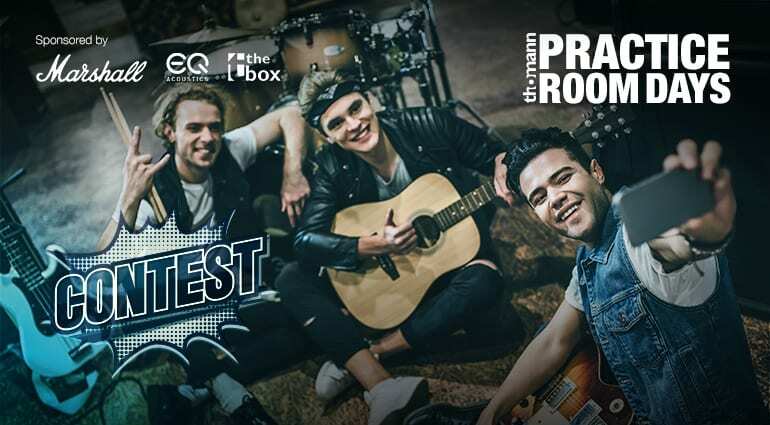 CONTEST – Rockt mit eurer Band das Sommerfest 2016! 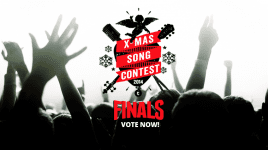 X-MAS SONG CONTEST – Das Finale! Gibts schon irgendwo zu sehen wer gewonnen hat bei Pimpmypracticeroom? Wer was gewonnen hat, erfährst du mit einem Klick auf diesen Link! Hi Peter! 👋 Die Gewinnerbands stehen fest 😱 Du findest sie unter diesem Link! Wann werden die Gewinner endlich bekannt gegeben?